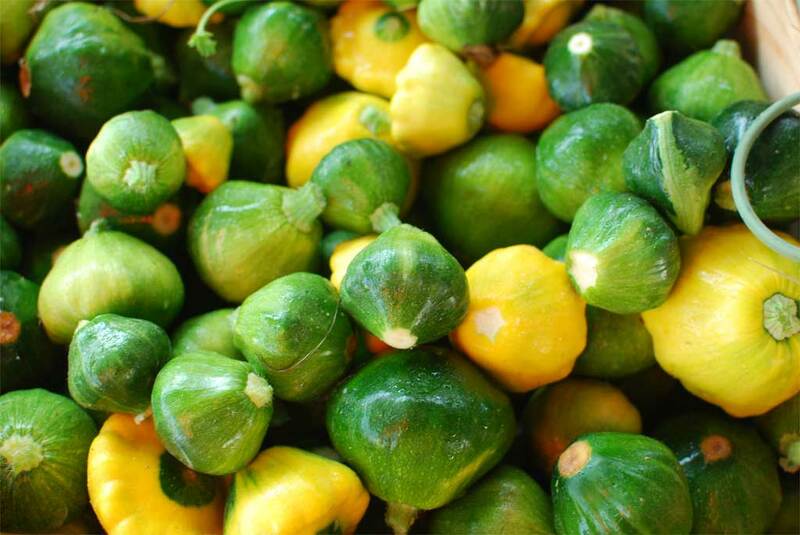 Although the summer has brought eggplant, tomatoes, okra, and more, today’s market really belonged to patty pan squash. There were buckets of these UFO shaped vegetables, in at least three different colors. Patty pans taste the same as regular squash, but their thick shape makes them suited to different cooking methods. I recommend first blanching them in salted boiling water to make sure they’re seasoned, but then the rest is up to you.